A rare thing happened on Wall Street this week. Buckingham Research Group double upgraded shares of Netflix (NASDAQ:NFLX) following the stock’s October rout. Buckingham, who previously had an “underperform” rating and $349 price target on Netflix stock, lifted its rating to “buy” while upping the price target to $409. The reason? Netflix stock had fallen nearly 30% off all time highs, and at levels below $300, Netflix’s long-term growth drivers were being undervalued by the market. Specifically, Buckingham’s Matthew Harrigan pointed to consistent and meaningful price increases over the next several years as being a driver that the market wasn’t pricing in after the October rout. Broadly speaking, Buckingham is spot on with this double upgrade. Below $300, Netflix stock was too cheap to ignore. And, the company does have two huge growth drivers in subscriber growth and price hikes, the second of which is the true driver to unlocking long-term value. Long story short, Netflix stock should bounce back from this recent sell-off. Below $280 was the time to buy. Now is not the time to sell. With sentiment in the tech sector improving and Netflix’s fundamentals as strong as ever, this recovery in Netflix stock has more runway left to the upside. Netflix stock has two huge growth drivers. The first, subscriber growth, is well-documented and largely priced into the stock. After all, this stock trades almost entirely off of subscriber beats and misses, and the consensus on Wall Street is that the current 140 million subscriber base will ramp towards 300 million and higher over the next several years. There really isn’t any surprise here, nor is there much upside. 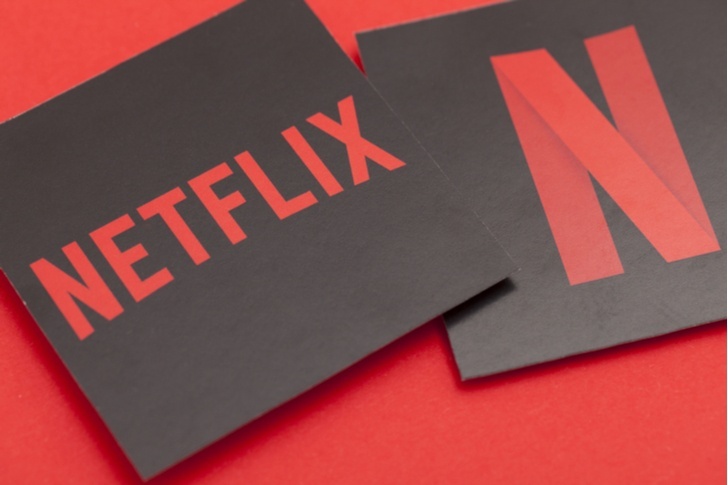 Subscriber growth is well documented, and fully priced into Netflix stock. The upside comes from the company’s other growth driver: price hikes. This growth driver isn’t that well documented, nor is it priced in. Some analysts and investors talk about Netflix’s ASPs, but the stock doesn’t trade off of ASP beats or misses, nor is robust ASP growth priced into the stock. In the big picture, the Netflix service is dirt cheap. At the end of 2017, Netflix said that subscribers watched 140 million hours of content per day. The sub base at that time was around 117 million. Thus, each subscriber watched about 70 minutes of Netflix content per day, or about 425 hours per year. By comparison, the average American watches around 170 minutes of traditional television per day, or roughly 1,030 hours per year. The average cost of cable runs between $70 to $100 per month. At the low end, you are looking at $840 per year. Meanwhile, Netflix costs $11 per month, or about $132 per year. That means cable costs about 80 cents per hour, while Netflix costs just 30 cent per hour. In other words, cable’s per-viewing-hour cost is nearly 170% higher than Netflix’s per hour viewing cost. From this perspective, Netflix has a ton of room to hike prices over the next several years before the service becomes even slightly competitive with traditional TV on price. This is very important. Not only do price hikes supercharge revenue growth, but they expand margins, too, by boosting unit revenues while holding unit costs constant. Thus, the true key to unlocking long-term profit growth for Netflix is price hikes. Due to robust growth potential in both the subscriber base and unit price, Netflix has a pathway to $60 billion-plus in revenues and $30-plus in EPS in a decade. Depending on your exit multiple on those metrics, Netflix stock is somewhere in reasonably valued territory today. My baseline target for Netflix stock is $280. That represents a 20x forward multiple on $30 in EPS in a decade, discounted back by 10% per year. Thus, dips below $280 are promising buying opportunities. We just had one of those, and Netflix stock has rallied ever since. My bull target for Netflix stock is $350. That represents the same math as above, just with a 25 forward multiple as opposed to a 20 forward multiple. Where the stock pans out all depends on underlying sentiment. Right now, sentiment across the market is steadily improving. This is especially true for Netflix stock, which has been unusually strong against the backdrop of its FANG peers still being weak. Thus, I think renewed bullish sentiment will cause this rally in Netflix stock to persist, and ultimately carry the stock back to the mid-$300’s. The Netflix growth narrative is all about subscriber growth and price hikes. After the stock’s big October rout, those long-term growth drivers were being undervalued by the market. Netflix stock has since bounced, and valuation now seems appropriate. Further upside will likely be driven by improving sentiment across the stock market. Thus, so long as the markets remain healthy, Netflix stock has runway back to the mid-$300’s, and perhaps higher.